It’s Hygge Month here at Costume Parade! 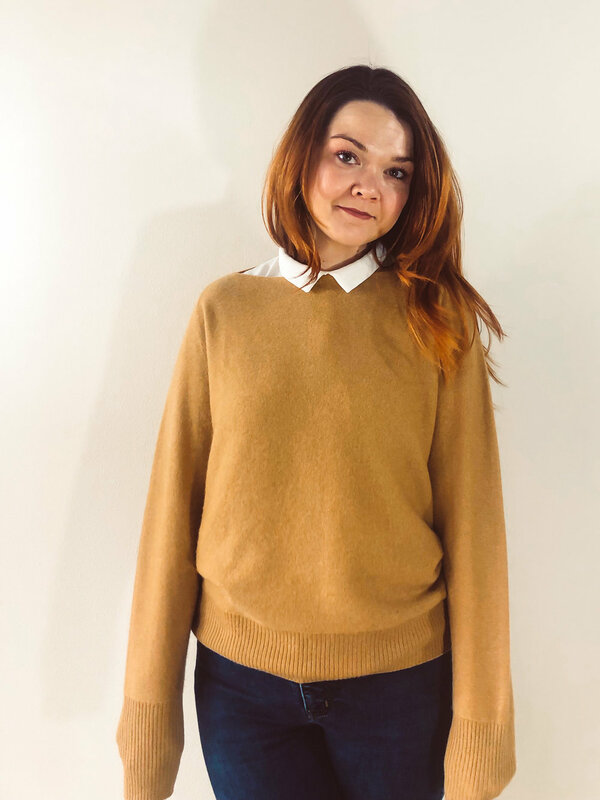 I asked my Stitch Fix stylist to send me some Hygge-on-the-sly pieces: items that feel cozy and comfy, but still look snazzy. THOUGHTS: This sweater is sofffffttttt. (It is cashmere, so no surprise there.) That butterscotch color is unique, but I struggled getting it to flatter me and, at $278, it’s way, way, way out of my sweater budget. THOUGHTS: This didn’t fit me correctly anywhere. It was droopy in the shoulders, and a bit strained around the midsection. THOUGHTS: Oh, this sweater wasn’t my friend. It had no give in the material and, though it looks like it should be, it wasn’t soft. The off-white fuzzy chenille on top looked dirty next to the stark white of the rest of the sweater. The bands around the stomach did not flatter me, either. Definitely not a hygge-win. THOUGHTS: When it comes to softness and stretchiness, this top had neither. It was not comfortable, and I didn’t care for the faux suede detailing around the collar. Doing my best wildling impression. THOUGHTS: This faux fur vest cracked me up. I felt like an extra on the set of Game Of Thrones. While it was cozier than most of the pieces, it’s not my style. I’ll stick to my purple faux fur jacket from my fortune teller fix. Get each Stitch Fix Review delivered right to your inbox. 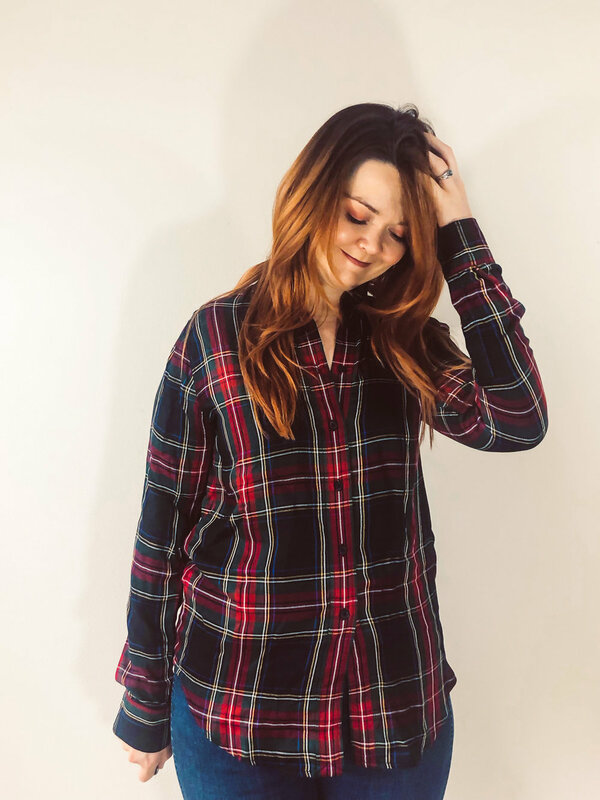 No spam, just Stitch Fix Reviews! I’m returning all five pieces this time, but after the success of my last fix, that’s probably better for my wallet! I’ll be back here on Wednesday for some more Hygge-fun but, until then, come visit on Instagram! There’s new fashion-rule-breaking, Hygge, cozy, comfy, content there everyday!